Oh, it feels so good to be back on the cupcake trail again! Yes, I have been enjoying the tasty morsels, but I haven’t really been keeping tabs. I couldn’t tell you how many cupcakes I have in the queue. For some of them, I think I just need to go again! Last week I made my annual/bi-annual trip to the Nation’s Capitol. Not only is it one of my favorite places in the country, it’s top-notch for cupcake places! 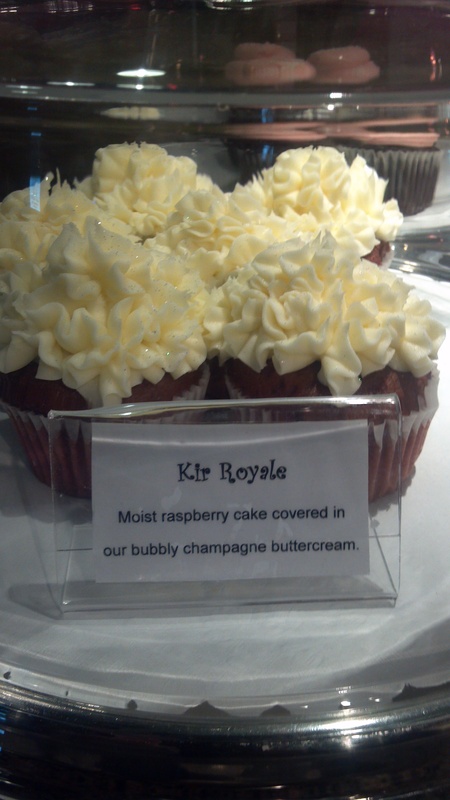 This time I kept my cupcake adventures in Virginia. For my first day back, I headed over to Bakeshop in the Clarendon area of Arlington, VA. Being a rainy day and my first time there, I had some trouble finding the place. It wasn’t located too far off of the main streets, but it could easily be missed. Immediately upon walking in, I was overwhelmed with a great scent of baking! You can’t fake that smell… if you are a bakery and you don’t smell like one, you are probably doing something wrong. After I asked about all the flavors for kicks, I ordered my traditional vanilla-vanilla. Also known to them as “Perfect White Cupcake”. Wonderfully baked! The top has crisp, sweet edges (reminded me of bundt cakes, where you sprinkle sugar over the sides of the pan). Inside was delicious moist and fluffy. Sooooo creamy! Mmm, mmm, mmmm! It was similar to ice cream-smooth. Once it rolled over the tongue, it sorta melted in your mouth. And then, it popped with a burst of vanilla flavor. I was calling it the vanilla bomb! I really enjoyed my visit. First of all, the people were awesome! While I was there, they were jamming to some tunes and just hanging out. The chill atmosphere definitely stems down from the owner, the sugar master himself. Actually, anyone who calls themselves Sugar Master… Mr. Cupcake… and Confectionary Artist ranks high on my list! Second of all, he offered me free coffee to warm up. Such a small gesture, but it didn’t go unnoticed! I was also pleased with the pricing of their cupcakes. The size was regular and they only charged $2.50. I’ve seen that size being charged $3-3.50… Outrageous, right?! Good job guys for keeping it real. I would definitely go back to Bakeshop. 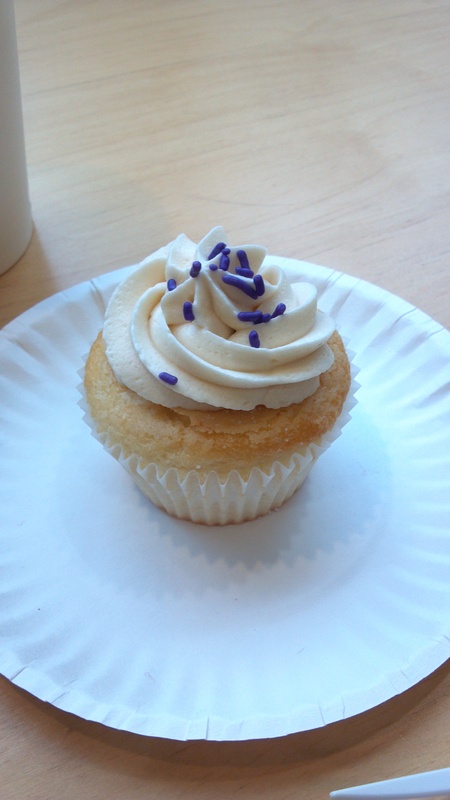 The cupcake, the atmosphere, and the selection (vegan-friendly options too) makes it on my list of top places in DC! The best moments in my life are when I stumble across a cupcake shop, without even trying! On a pit stop in Ft. Worth on my way back to Houston over break, I found the Cupcakery. The name sounded really familiar to me. Well, let’s be honest – most cupcake names are similar, and I have been to a lot. 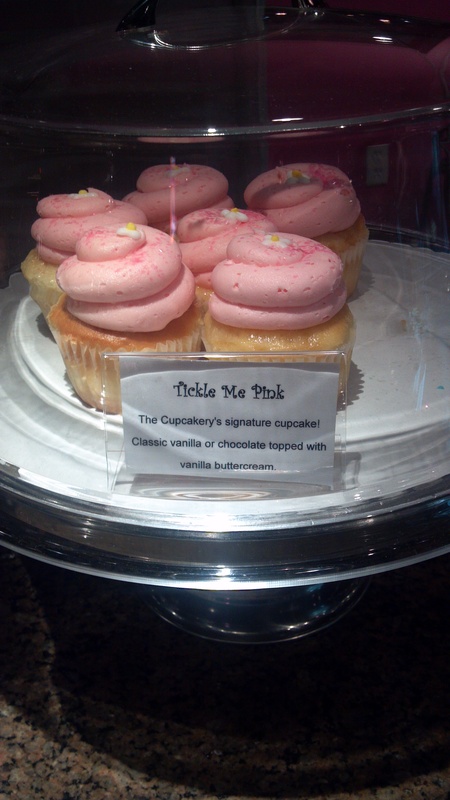 But, after walking in and taking a closer look at their box, it said “The Best Cupcakes in Vegas Texas” Ah, yes! I’ve been to the one in Vegas! The store was located in downtown Ft. Worth. Interesting enough, downtown Ft. Worth has alot going on! Lots of shops, restaurants, hotels, etc. I was very impressed by my stay there. I was really torn to get the traditional vanilla or try something new. These were the ones I really wanted to try! Kir Royale - so thirsty! I can’t quite put my fingers on the flavor of the cake. It had a hint of lemon, almond… almost like a sugar cookie dough taste. Whatever it was, I liked it. Simple vanilla frosting that was creamy and screamed “butter”. It paired extremely well with the cake, for an amazing combination. For an added zing, they made the frosting pink. I do believe it has to do something with their signature colors. Nonetheless, it was cute. Nothing real special though. I liked this place much better than I had remembered. The problem with multiple locations is that you can’t guarantee consistency. But, this time around I was very impressed. I did notice that they have a location up in the Woodlands. If I happened to be up in the area, I would stop by.